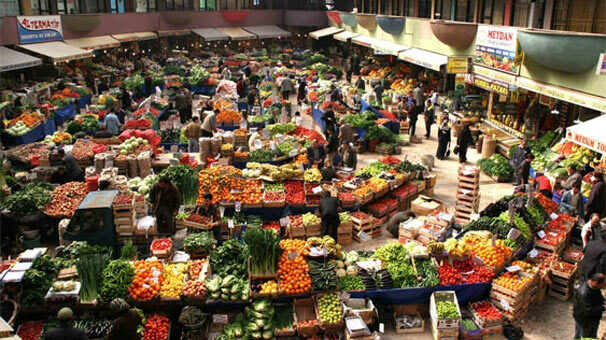 Officials from Turkey’s Trade Ministry conducted raids on wholesale vegetable markets in five different provinces, announcing that the ministry will soon take legal action concerning what it says are arbitrary price increases, independent news site T24 reported on Wednesday. The report arrives as Turkish government continues its quest to curb food prices by issuing warnings to retailers and wholesalers amid soaring inflation. The findings of the raid conducted in Ankara, Adana, İstanbul, Mersin and Antalya, included ‘’extreme price hikes which do not correspond to supply and demand,’’ T24 said. The ministry has announced that it will begin legal procedures against suppliers found guilty of price increases. Turkish inflation edged up to 20.4 percent in January from 20.3 percent the previous month as food price inflation surged to an annual 31 percent from 25.1 percent. The government has already taken some action against so-called price speculators, sending municipal police into shops and warehouses and levying penalties. On Wednesday, Turkish Treasury and Finance Minister Berat Albayrak said high inflation in Turkey was caused by “food terrorism”, vowing to take measures next week to stop it. 5 ilde sebze-meyve hallerine fiyat baskını!